A love for shoes has long been associated with women but it seems like men, especially young men, are stepping up and changing the narrative. New research from market intelligence agency, Mintel suggests that 95 per cent of British males aged 16-24 bought shoes last year, making them the UK's most prolific shoe buyers. Although women are still more likely to buy shoes (86 per cent) than men (78 per cent), young men giving women a run for their money. In 2017, men's shoes accounted for 37 per cent of all footwear sales, up from 34 per cent in 2015. Women's shoe sales, however, slipped from a 50 per cent share in 2015 to 46 per cent. Valued at £4.38 billion in 2017, sales of men’s shoes increased an impressive 31% between 2015 and 2017. Meanwhile, sales of women’s shoes grew by 10% over the same period to reach £5.48 billion in 2017. 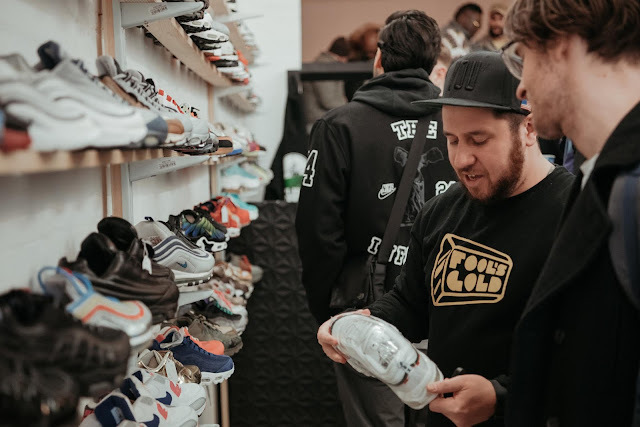 Henry Pedro, one of the co-founders of The Panel, a trainer discussion group said: “According to the stats, shoe revenue has grown year on year. This is supported with evidence of a growing demand for hyped, limited-edition and exclusive trainers from a sub-culture, which from recent years has become mainstream. Everyone wants to be like the celebrities seen on social media. Wear the clothes and shoes they wear.